Special Needs Parenting is a must-read for family members, pastors, and any person who works with special needs families. Dr. Bradley explores their challenges, grief, and joy with deep sensitivity, theological depth, and practical advice. A blessing to all who read it and allow their lives to be touched by wisdom born of personal experience and biblical scholarship. Dr. Bradley blends biblical reflection with pastoral insight, personal story, and stories from others. She earns the readers’ trust by offering reflections, possibilities, and guidance, and helps ensure that every family and person is welcome and belongs. Dr. Bradley invites the reader into a deeply honest conversation about the lived experience of parenting a child with special needs. She teaches us practical strategies for spiritual and emotional growth and helps us see that joy and hope are possible in the midst of the struggle. There is simply no other book like this. Intelligent and incisive, compassionate and empathic, Lorna Bradley’s book speaks into the heart of all who want to “love our neighbor as ourselves”—especially when that neighbor is someone who deals on a daily basis with a special needs child. An authentic and realistic look into the challenges of raising children with special needs combined with a message of hope and abundance. Written from the crucible of her heart, Lorna masterfully leads parents through the emotional roller coaster many feel as they navigate this uncharted territory, and helps them name the feelings that simmer below the surface. And with naming comes healing. Lorna Bradley’s book for families with special needs is a must for the church. Here parents, Christian educators, and pastors can find hard-won wisdom and practical guidance for parenting and providing loving ministry for families with special needs. Bradley is a practitioner of everything she describes. Her writing is clear, accessible, and honest. Bradley’s words “encouraging special needs parents is at the heart of my calling in ministry” is evident on every page. The mother of a son on the autism spectrum, Bradley writes from her personal experience, pastoral grounding in scripture, doctoral studies, and extensive experience leading groups for parents of children with special needs. Families impacted by disability will treasure this study guide because it provides an avenue to help them process the emotional roller coaster of life with special needs. Special Needs Parenting offers stories, scripture, and tools for self-care and maintaining healthy relationships. It transcends pain and loss and becomes inspirational. Lorna Bradley’s Bible study, Special Needs Parenting: From Coping to Thriving, was the perfect balm for my grief and guilt-stricken soul. It offers practical advice about how to grow patience, practice self-care, and maintain healthy relationships. Though I wish the book–and support groups–had been available after our son’s special needs diagnosis decades ago, I know God will use Lorna’s words to encourage parents not just to cope, but to thrive as they raise children with special needs. Writing from her experience as a mother who has ministered to many families through the years, Lorna’s book Special Needs Parenting: From Coping to Thriving reminds us we are not alone on this journey. This book not only encouraged my heart, it challenged me to dig deeper in Scripture to see what God’s Word has to say especially to special needs parents. Lorna holds your hand as you process feelings of grief and guilt, and helps you find hope, the hope we have in Christ. 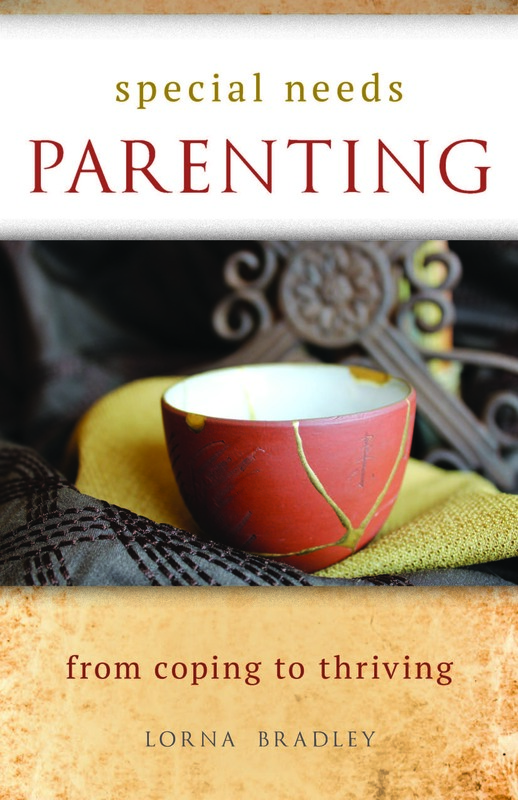 Dr. Lorna Bradley’s book, Special Needs Parenting: From Coping to Thriving, is full of practical, positive and encouraging information that all Christian parents of children with special needs should take the time to read. Special Needs Parenting: From Coping to Thriving will not only be a blessing to individuals and families experiencing disability, but is also an excellent guide for those who endeavor to lead faith based supports groups for parents of children with special needs.